Small Men's Size - the size between Harrow and Short Handle - ideal for cricketers that are between 5'6" and 5'8" tall. 5 Star Lite Grade - ensures light weights for all bats. Mid-Low Middle - ideal for the front foot player. Minimal White & Chrome Stickers. Full Profile - ensures a very wide sweet spot. Long, Exaggerated Bow - for maximal power, a lighter pick-up and perfect balance. Natural Finish - No Anti-Scuff Sheet or toe guard fitted. Zone Pro Grip fitted - improves feel and control through the shot. New for 2019, the 6X continues the long tradition of the Gray-Nicolls Powerbow range, which launched the international career of Alastair Cook back in 2006. A full profile, with a dramatic mid-low swell and middle and a feathered toe, combined with its predecessors' synonymous long and exaggerated bow, the Powerbow 6X 5 Star Lite Cricket Bat has a powerful blade with a beguiling, light pick-up. 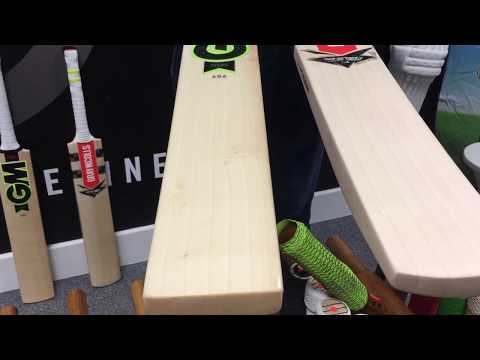 Styled to evoke the flowing lines and timeless aesthetic of thew original Powerbow bat, the latest iteration of this iconic bat has placed the link between the Gray-Nicolls Test and Classic ranges. Minimal white and chrome stickers run down the spine and flare toward the toe, showcasing the exaggerated blade contouring. The 5 Star Lite grade of the Powerbow 6X Cricket Bat ensures light weights for all bats and the Small Men's size sits between Harrow and Short Handle - making it ideal for cricketers that are between 5'6" and 5'8" tall.